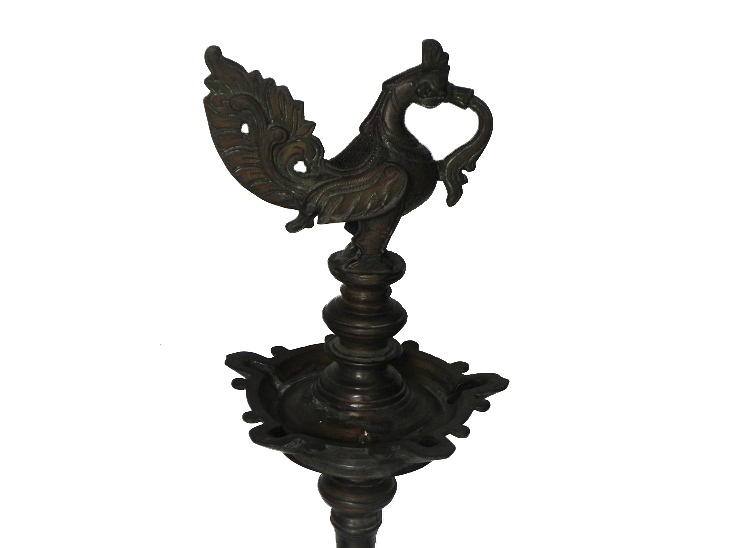 This Beautifully Shaped Vintage Oil Diya is Known as Peacock Oil Lamp(Peacock Diya). 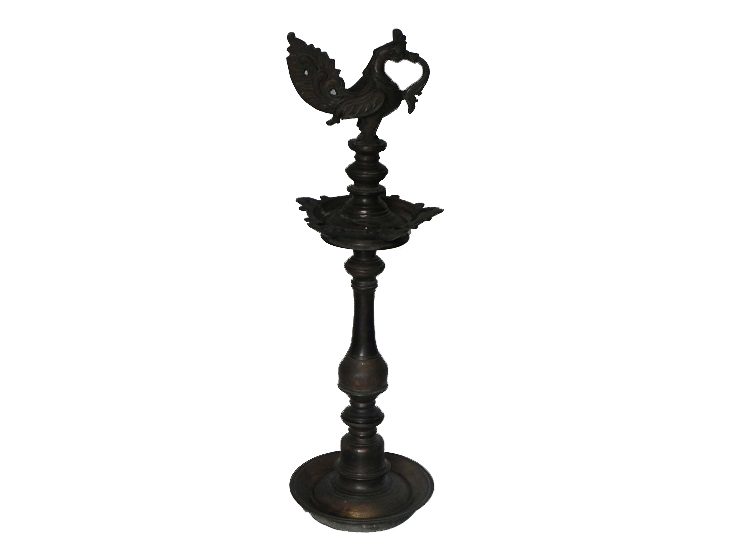 This Can Be Observed by the Design, the Symbols and the Figures Sculptured on This Lamp. 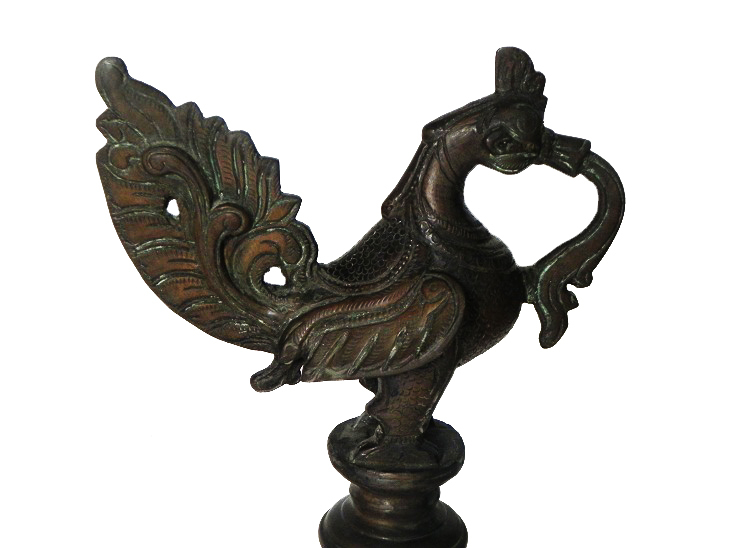 It Adds Spiritual Flavor to Your Decor. 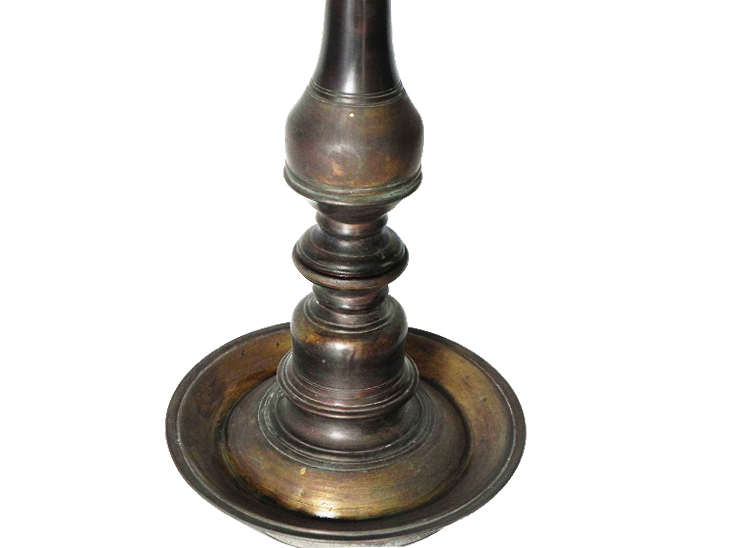 Vegetable Oil, Mustard Oil or Desi Ghee can be Use to Light the Lamp with Cotton Wicks.